Welcome to the Rainier City Library! The Rainier City Library provides free services to all residents living within the Rainier City boundaries. Library services are available to all others for a $15.00 annual family fee. Please see our Library Policies page for more information. Our mission is to provide diverse learning opportunities to the Rainier community. Our friendly and professional staff is eager to serve you. The library system holds over 11,000 materials including over 9,000 books, and 1,000 compact discs and books on cassette. Over 600 video and DVDs are also available. Search our online catalog here! All you need is a current Rainier Library Card number to log in and start reading online! We are pleased to offer ebooks, audiobooks and videos from Library2Go. Library2Go allows you to start reading instantly in your browser with OverDrive Read, or download an app for your favorite reading device. 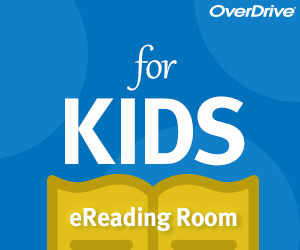 OverDrive eReading Room for Kids provides a safe and easy browsing experience for children. The eReading Room just shows children's content, which gets kids to the titles they want faster. Kids can browse, sample, place holds and borrow eBooks appropriate for their age range and reading level. Computers with internet access are available to the public all hours we are open. WiFi is also available in the library or the lobby. There is no fee for computer or wifi use. Printing is 10¢ per page. Please view our Library Policies page for more information.